My parents and my boys were gone when the girls had their birthday party so we had a post birthday party where the girls opened presents from their grandparents. I used the Make it From the Heart 2 how to book to create this layout #4 on page 7, it was also used on the Workshop on the Go for Laughing Lola but I was trying to make it a little less girly since I was putting it in my boys' book. The Sara and Lora was cut from the Artbooking Cricut Cartridge alphabet which was welded in the Cricut Craft Room. 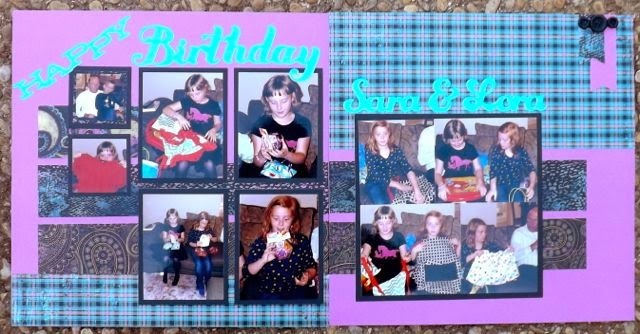 The Happy Birthday came from the Artiste Cricut Cartridge. I added some black buttons from the Mini-Medley Accents Black Collection. 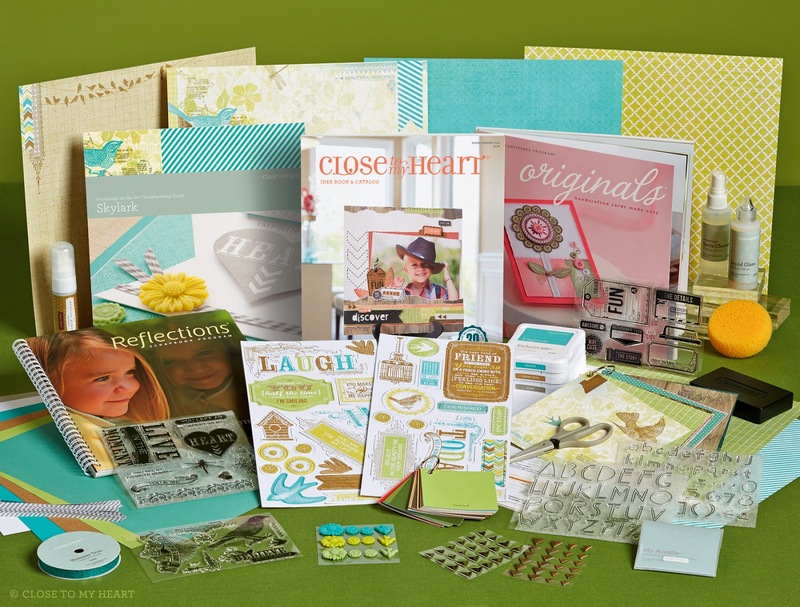 Did you know that in April if you join Close to My Heart as a consultant you will not only receive the fabulous consultant kit but you will also receive your choice of one of the three Cricut cartridges! The Cartridges are limited to what CMTH has on hand so join on April 1, NO JOKE! The cost of joining is $99 plus $15 shipping which means you are getting about $400 in product (listed here) and supplies for $99! AND to top it off you earn your STTT levels ($1200 in sales in 3 months) and you get your $99 back! To join my team go HERE!